The publication of the complete draft of National Register of Citizens (NRC) will miss the deadline of June 30 as scheduled because works have been affected in Hojai district, Barak Valley and West Karbi Anglong due to floods, stated the Hojai DC. 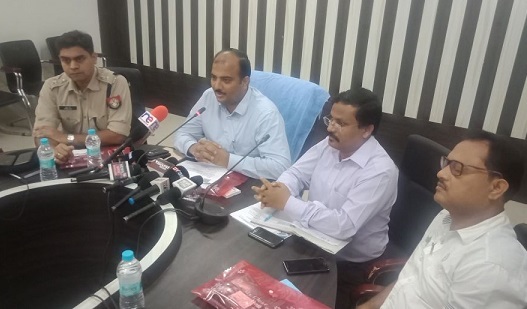 “The next date will be fixed after the Supreme Court hearing on July 2,” said Deputy Commissioner of Hojai, Manvendra Pratap Singh on Friday while addressing a press conference at Hojai. “Training will be given to public by the district administration and the district NRC team, on how to apply for claims and objections,” the DC added. The Hojai DC further informed that in case of doubtful voter, his/her names will be kept on hold in the final draft NRC publication till his/her case’s final judgement comes. And people whose judgement came after August 31, 2015 and are declared as Indians and have their copies of Judgement would be able to apply for their citizenship through claims and objection process. In case of the declared foreigners, it is clear their names will be excluded from NRC, the person whose case is in Foreign Tribunals their names will be pending and as per the judgements by foreign tribunals only in future they will be eligible to enter their names in NRC. The DC also said total 10,23,114 people of Hojai district submitted their documents for NRC registration which comprises a total of 1,84,059 families. There were 85 NSKs and 1,718 people’s cases are pending in Foreigners Tribunals which will go on hold now in this final draft NRC, 8,473 people are declared foreigners their name’ will not be included in NRC. “People coming between the year 1966-1971 in Hojai district are 6,355 out of which 3,481 people have registered their names at Foreigners Record Registration Office (FRRO) and 2,874 people till now have not registered and 2,771 people are D-Voters. People not registered to FRRO (2,874) and D-Voters (2,771) names will be kept on hold and will not be included in complete draft of NRC,” the DC added. Superintendent of Police Ankur Jain, ADC Prasantha Barua, ADC Aroop Pathak, ASP Ajagwaran Basumatary were also present in the press conference.